When grilling vegetables, you should achieve flavor without compromising the nutritional benefits of your food. Some studies suggest that over charring vegetables diminishes the nutritional value. 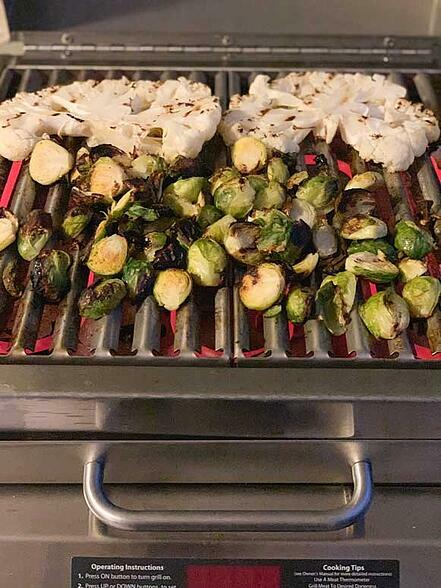 But, using your ElectriChef grill to steam then grill vegetables, at a moderate controlled temperature, helps you to have clean and flavorful vegetables every time. Here is a simple Grilled Brussel Sprout recipe for you to try with healthy grilling tips to facilitate the most nutritional way to head outdoors and grill your vegetables. 1. Try to avoid charcoal or gas grills when grilling vegetables. Toxic gases can be transferred and absorbed into the vegetable and can cause health risks and a chemical taste. 3. Choose the freshest vegetables available and when possible, buy locally. 4. Don’t use heavy marinades or baste your vegetables with oil or butter on the grill. After steaming, allow the vegetables’ natural, “sweet” juices to help create the grill flavor. 5. Grill your vegetables on medium to low heat. It is not necessary to turn your grill to high to create the flavor. 6. After steaming your vegetables, you can remove them from the grill and set aside to add your proteins to the grill grate. The grill will be at the perfect grilling temperature at this time. Add the vegetables back to the grill next to your proteins for a slight char during the last 6-8 minutes of grilling. This way, everything finishes at the same time. No wasted time or energy! Grilling vegetables is a fantastic way to add flavor and enhance lower calorie options to your food preparation. The recipe I have created below can help you to grill healthy vegetables on a sustainable grill. Please use my recipe as a guide. Grilling times vary based on the size and thickness of the vegetable. • Cut off the stem end of the brussels sprouts and remove any loose or yellowing outer leaves. Rinse sprouts and cut in half. Using a large bowl full of water, soak the sprouts while you prepare your grill. Chef Tip: In order to facilitate even cooking, it is important to purchase brussels sprouts that are approximately the same size. 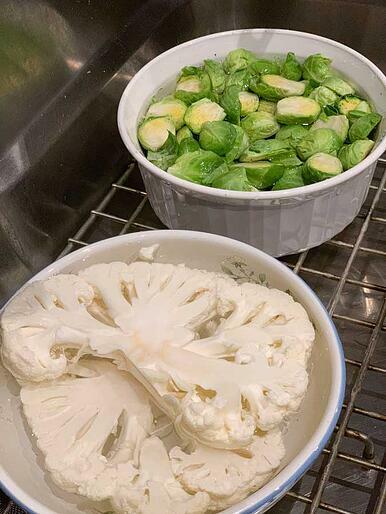 • Prep your ElectriChef grill drip pan by lining the drip pan with aluminum foil to help with clean up and to catch any brussel sprouts that may fall through the grill grates. • Using a measuring cup, prepare about 1 cup of water and kosher salt, set aside for salt to dissolve. • Make sure a lined drip pan is replaced properly and pour water through the grill grates into the drip pan below. • Spray the grill grates with canola oil. NOTE: Do not add any olive oil at this time. Many recipes suggest you place the Brussels sprouts into a large, microwave-safe mixing bowl and heat in the microwave on high for 3 minutes. Because of the steaming capability on your ElectriChef grill, this is not necessary. You also do not have to skewer your brussels sprouts. 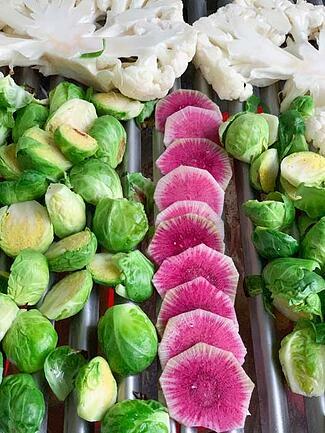 Even when cut in half, the sprouts are large enough to be placed directly on the grill grates. • Immediately after turning on the grill, use a slotted spoon to place the sprouts from the bowl to the grill. Spread them out to achieve even steaming. • Close the grill cover. The grill will begin to heat up and create steam. The steam will blanch the sprouts and as the sprouts “sweat” you will see their natural juices begin to form. NOTE: This method of steaming vegetables makes the ElectriChef grill to be very unique. 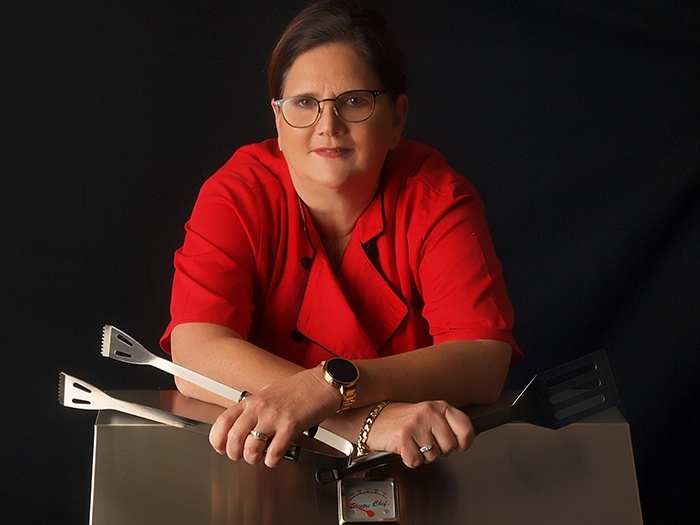 Being able to begin cooking from the moment you turn on the grill allows you to be energy efficient and sustainable. Because it is not necessary to toss your sprouts with oil before grilling, you increase the natural flavor of the sprouts. 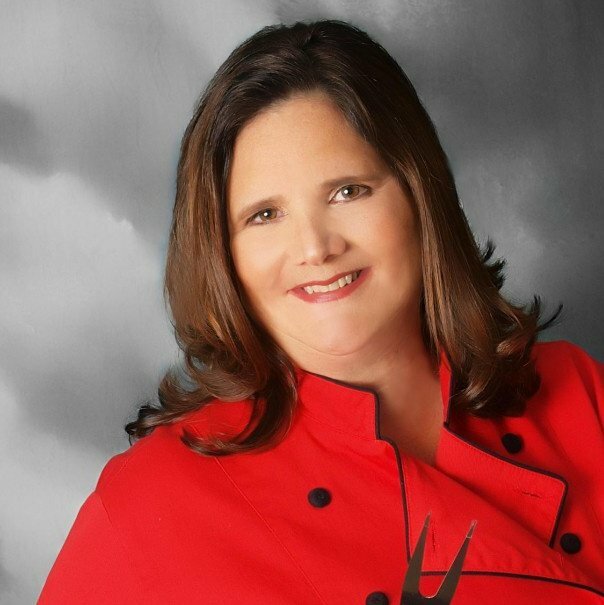 I will provide more information on steaming in my Chef Tip this month. • Keep grill closed for about approximately 15 - 20 minutes. You can judge your time because once you smell the actual grilling of the sprouts, you can open the grill and using tongs turn the sprouts. 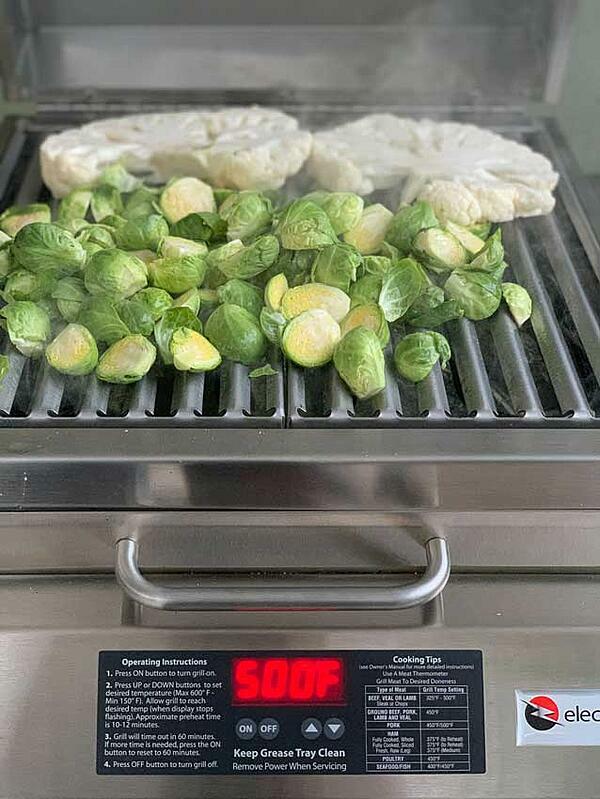 • Close the lid of the grill and increase grill temperature to 525°F for an additional 6 minutes or until the sprouts are at your desired grill level. Don’t over char, remember the vegetables are already steamed and ready to eat, you are creating flavor. • Remove sprouts from grill and serve as a salad, by tossing the warm sprouts with your favorite dressing. I recommend a balsamic vinegar base to enhance the flavor of the spouts. • For my photo, I grilled a cauliflower steak and rainbow radishes (using the same grilling techniques as the sprouts) then tossed the sprouts in balsamic dressing, seasoned them with salt & pepper, and placed the sprouts over the cauliflower. 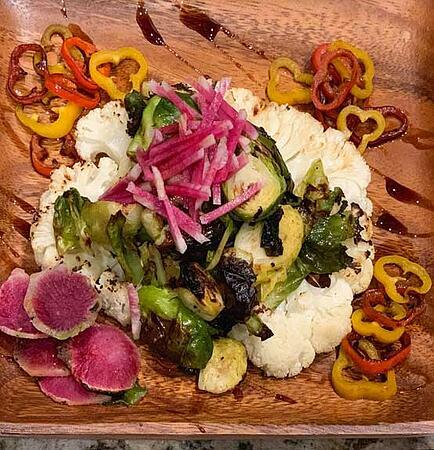 The dish is drizzled with a balsamic glaze and garnished with the grilled rainbow radishes. What's Next? Check out some great recipes that pair well with brussel sprouts, like this Swiss Chard Stuffed Grilled Pork Tenderloin.